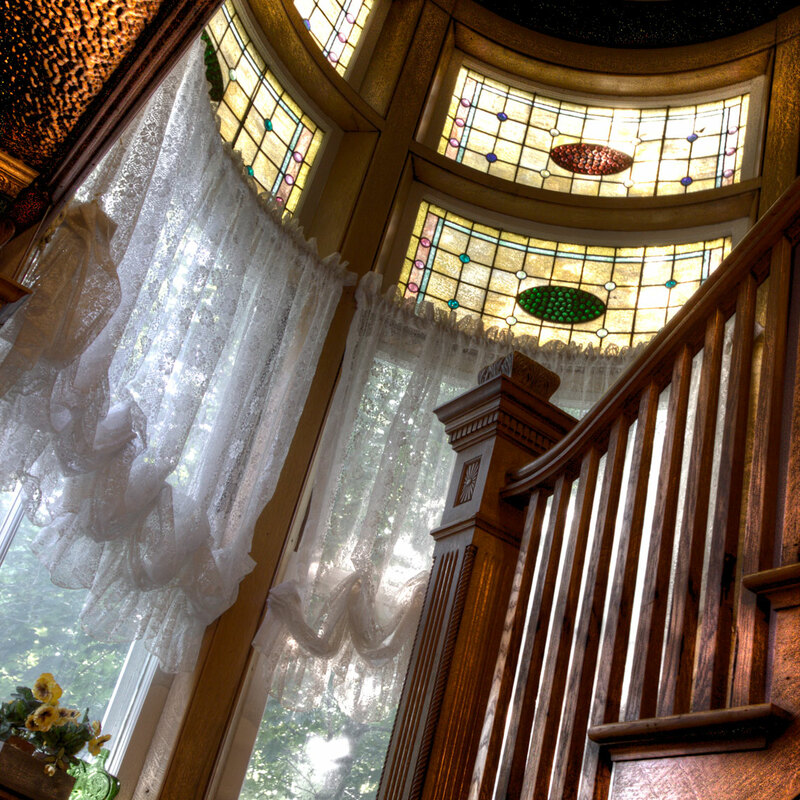 The Jeweled Turret Inn is a stunning Victorian home dating to the late 1800’s, but fully restored and decorated by the current owners with an impeccable attention to detail. Offering 7 warm and welcoming accommodations, 4 elegant parlors, and 2 wide verandas with room for relaxing and socializing. Of course, the location of the Jeweled Turret should also not be overlooked! Perfectly positioned in Mid-Coast Maine, Belfast makes an ideal launching pad for exploring Bar Harbor and Acadia National Park to the North and Camden, Maine to the south. Whilst Belfast itself is a jewel to be explored; festivals, art galleries, and wonderful dining options are only steps from the property. 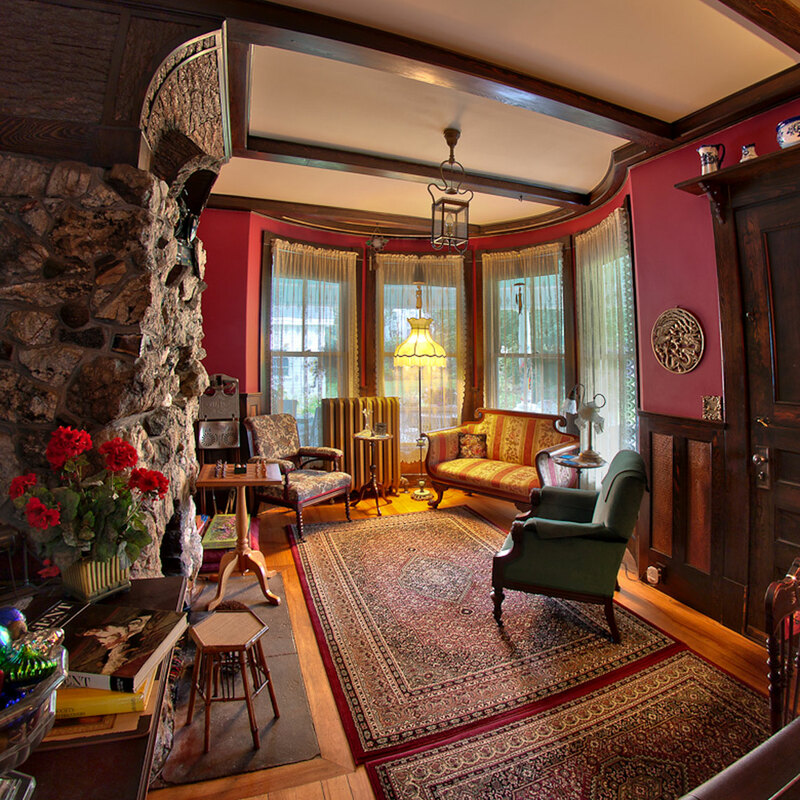 This Belfast, Maine Inn is not to be missed. 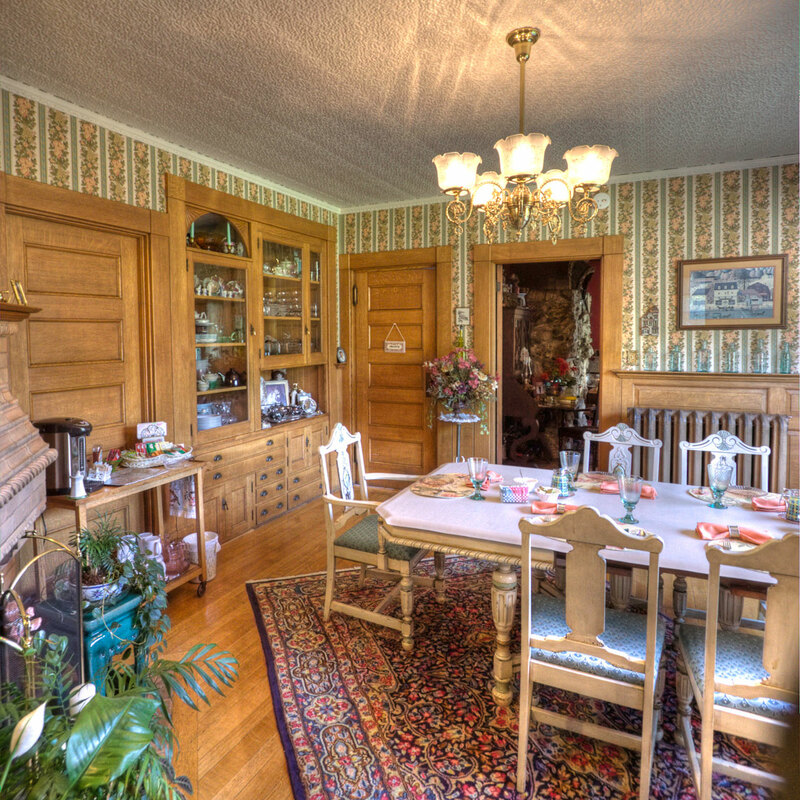 After a night of sweet dreams at our Belfast Maine bed and breakfast, you’ll awaken to the aroma of freshly brewed gourmet coffee. In the oak-paneled dining room, a full breakfast awaits you; fresh fruits, scones and pastries, and such Jeweled Turret specialties as German pancakes and pasta prosciutto frittata. The den’s fireplace, one of four fireplaces, is said to have been built of rocks from every state in the Union at the time the house was constructed. One can examine it for hours and not uncover every beautiful detail.